I Got Funded, OMG I’m a Merchant! I’ve read the press releases, interviewed the executives, and written the summaries about the latest and greatest innovations in alternative finance. I’m the guy that’s supposed to know how everything in this industry works, but do I REALLY REALLY know? In the last decade, I’ve worn an underwriter hat, an MCA broker hat, a syndicator hat, a lead generator hat and a reporter hat just to name a few. This diverse array of experiences has surely influenced deBanked’s success. But even as we publish content about the funders, lenders and other Fintech players in the wider industry, deBanked is truly a small business first. Independently owned, there are no investors in the company to turn to for assistance. And that’s not such a bad thing if you know at all what it can be like to have partners. At the end of last year, we did what hundreds of thousands of small businesses around the country have done, we got funded by a marketplace lender. Through that experience, I found myself wearing a brand new hat, one that says “merchant” on it. On December 1st, my company received a deposit for $35,000. It was a loan from Square Capital and I didn’t pursue it for a story, but rather to facilitate cash flow at the busiest time of the year. I was moving into a larger office on the same floor of our building and the hustle and bustle of the pre-holiday craze was upon us. The circumstances may come off a bit cliché, simulated even, but there it was at the right time and the right place, an email telling me that my business had been “selected.” If you’ve ever wondered if that kind of marketing works, it must, because a half hour after reading through the materials, I made an educated decision and applied for a loan. The higher-ups at Square Capital, those above the underwriting department, might have no idea that they even funded us (our legal name is different from our trademark publication name). And I haven’t reached out to them for comment because I didn’t want to turn this into a PR stunt or get them riled up about my account. But if you work at Square and you’re reading this now, you don’t need to hold your breath. Everything seemed to work just as the press releases, ads, and executives claim it does. Phew! That’s good for you, but it was also very good for me. All in all, it couldn’t have been any simpler. The deposit was for the full $35,000. And try as you might to hate me for saying this, I never calculated what the APR is. Square explained the cost as a fixed fee, which for me was $3,160. That’s approximately 9% of the principal of which the whole loan and fee would be repaid in equal installments over the next 12 months. To those that work in the industry, I got a 12-month 1.09 deal. As a small business owner, I calculated whether or not it made sense to pay a set fee for $35,000 over that time period and determined it did. An APR would not have impacted my decision, nor would I really have found it helpful in determining the supposed true cost. The true cost is already there in black and white, the total dollars I agreed to pay. Two things guided me, speed and economics. I wasn’t motivated to shop around to try and get the absolute best deal, just one that made economic sense with the least amount of work in the shortest amount of time. It sounds ironic to write that, especially as someone who has a bachelor’s in both Accounting and Finance but if you’re someone who works 7 days a week like I do, well maybe you’d understand my thought process. If I was applying for a million bucks, then yes, I’d shop and think on it pretty hard, but in my circumstances, a few thousand dollars in fees is relatively small stakes for the company. Besides, I was using the money proactively, as a positive tool. I knew my patience for waiting was thin. For example, an experience with one of my banks earlier in the year had already left me rattled. I had asked to extend the limit of a business credit card and I was told that in order to do so, I’d have to visit the bank branch where I had originally signed up for the card (I don’t even live near that branch anymore) and that I would have to bring financial statements with me to present for review. By the way, this was for a limit increase to an amount that was much less than $35,000. I learned that day that the rumors about (some) banks are true. They wanted me to visit a branch… and bring paperwork… for some kind of unspecified analysis… in 2016. Lo and behold I never showed up, and was more entrenched in my belief than ever before that the world needed to become de-banked and soon. My business already processes cards through Square so I’ve got a track record with them. Applying didn’t place any inquiries on my personal credit report nor did anyone at Square ever call me to ask me any questions. I know that most of their competitors conduct what is commonly known as a “merchant interview” prior to full approval or funding, but they didn’t. It wouldn’t have bothered me if they did though since we have a good business and would be using the money for the right reasons. Alas, the entire process really all just came down to clicking a button online. I kept waiting for the catch, for them to let me down, to come up short of all the promises that the Fintech revolution has made about changing the world, but it never happened. 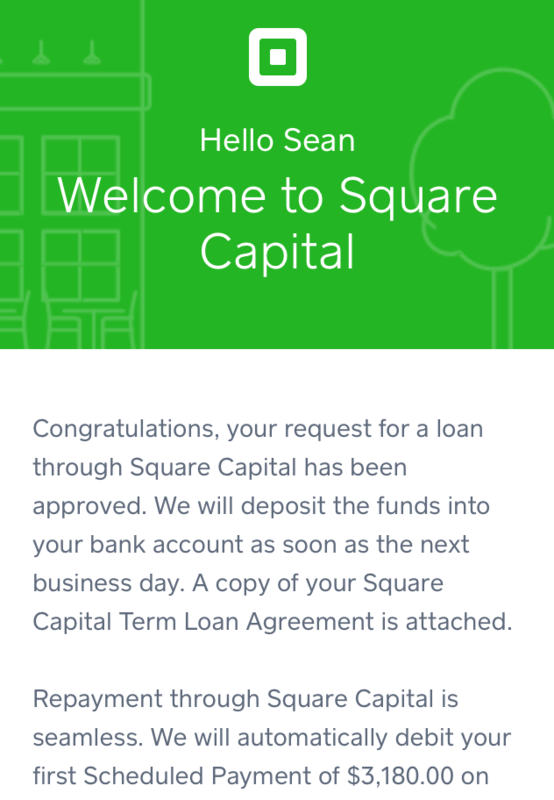 A month later, Square withdrew their first payment from our account. Like I said earlier, I was satisfied with the entire process and it was a big help. Had I been given the option however, I might’ve opted to structure the arrangement differently and sold a portion of our future sales proceeds rather than simply borrow money. Allow me to explain. It’s entirely possible that the next 12 months of business won’t pan out the way I project. If my sales drop, I still have to make the fixed monthly payment in accordance with my loan terms regardless. Not so when selling future sales since the delivery of those funds to the buyer is entirely tied to actual sales activity. A structure like this, what many consider a merchant cash advance, is actually what Square used to offer up until early 2016. When the pace of sales slow down, delivery of the sales proceeds slows with it. When the pace of sales increases, so too does the delivery to the buyer. And if I went out of business, well then the buyer would get what they purchased, nothing. Merchant cash advances are harder to bundle up and securitize though because there are no maturity dates nor is there even a guarantee the buyer will get what they purchased in full. 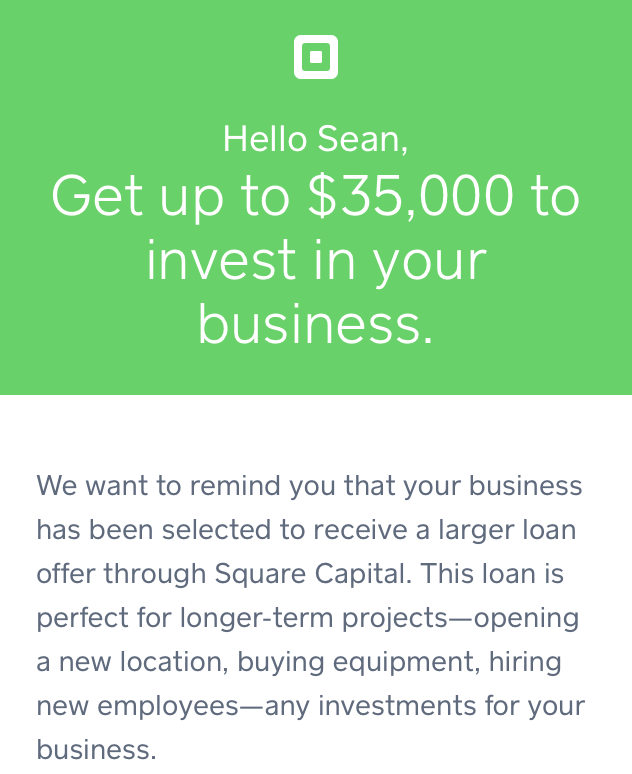 They’re investments with loads of uncertainty built in for the buyer, and that’s probably why Square switched to loans and also probably why the cost of my loan was relatively inexpensive. They’ve minimized the uncertainties. Nonetheless, the loan I ultimately got, is just fine. In the moment that I needed it, the process couldn’t have been any simpler or any faster. The banks have met their match. I got funded and loved it, now it’s your turn. 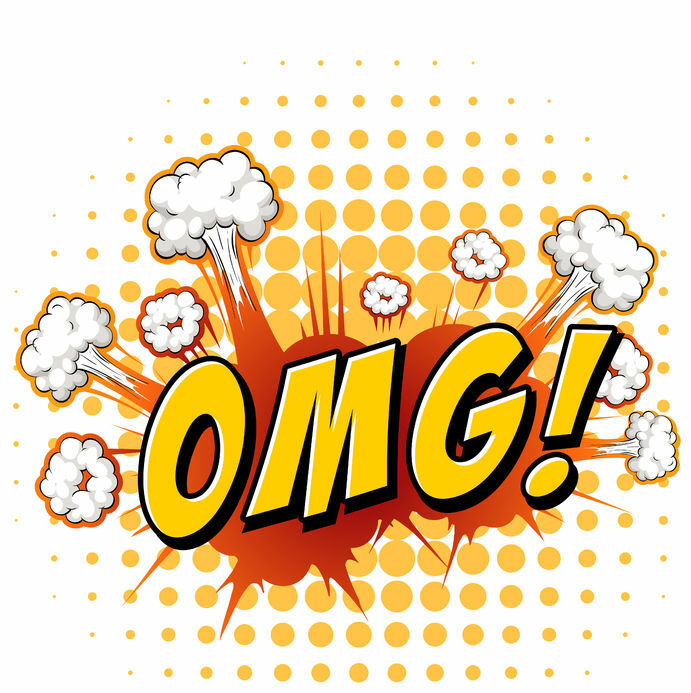 Home › Business Lending › I Got Funded, OMG I’m a Merchant!